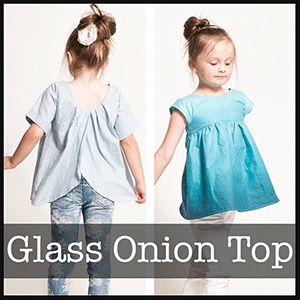 The Glass Onion Top is a sweet girl's top with swinging silhouette. 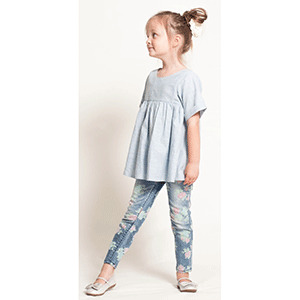 The top features a fitted front bodice with gathered skirt and over lapping back panels. 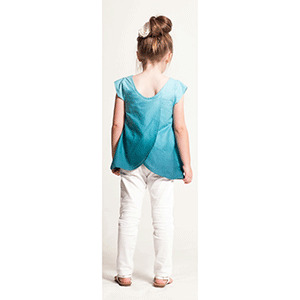 A low scoop back allows for the top to slip right over the head without any buttons or zippers. Choose a pleated or regular back to change up the look and fit, as well as three different sleeve options which take the top through all 4 seasons. 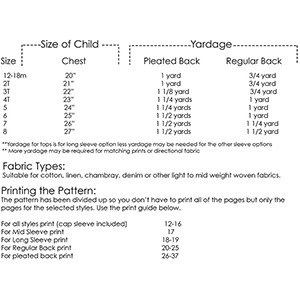 Suggested fabrics are light to mid weight cotton such as twill and denim, linen, chambray, and voile.